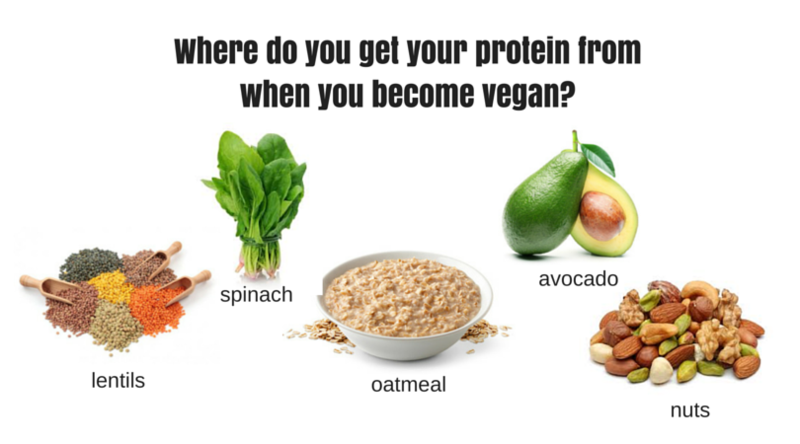 Where do you get your protein from when you become vegan? Protein is an essential nutrient that plays a key role in performing basic bodily functions. Your body uses proteins in your diet to build new cells and maintain tissues. They are the building blocks for many of our body’s structures, including muscle, bone, skin, and hair. Many might think protein can be a challenge for vegans, but it’s not a big deal - there a plenty of options for you to meet your protein needs. There are lots of nutrient dense foods with a high protein content; here are some options you may want to consider - avocado, broccoli, spinach, lentils, nuts, soybeans, sweet potato, non-dairy milk.